Hockey is one of the largest growing sports in Ireland. Coyle Sport Surfaces provide a complete range of surfaces which are approved by the FIH for use at international club and schools level. 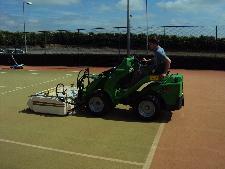 We also provide maintenance for your hockey pitch.